The Toyota Camry has had a longstanding reputation for being one of the most reliable, family friendly midsize sedans on the road. When it comes to a car that you’re using to take your family around near Indianapolis, Avon, and Plainfield, safety is more important than anything. Check out this complete breakdown of the 2019 Toyota Camry safety ratings, and learn why you can feel comfortable and secure in this great sedan. Each year the National Highway Traffic Safety Administration (NHTSA) rates cars on their crash test results and awards them a number of stars ranging from one to five. This year the NHTSA awarded the Toyota Camry a 5-Star Overall Safety Rating. In earning this overall rating, the Camry configurations received 5-Star ratings for frontal and side crashes and a low risk of rollover. This year’s Camry also earned high safety ratings from other organizations, as well. The Insurance Institute for Highway Safety (IIHS) also runs annual crash tests. Their ratings run on a scale from Poor to Good. By earning a Good in front and side collisions, roof strength, and head restraints and seating, the Toyota Camry has been named a IIHS Top Safety Pick+. A family car should be designed for safety, and the new Camry has safety built to the core. The frame is made of a unitized body with front and rear anti-vibration sub-frames to absorb impact. Inside the Toyota Camry, the passengers are protected with an Advanced Airbag System. It’s made up of 10 standard airbags that include driver and front passenger airbags and both front and rear side curtain airbags. Safety is also built into the way the Camry drives. That’s because the Star Safety System™ comes standard. This system bundles key safety features together to make your drive more secure. Vehicle Stability Control and Traction Control work together to give you a steady ride. The Anti-Lock Brake System, Smart Stop Technology, Brake Assist, and Electronic Brake-force Distribution all contribute to safely bringing your Camry to a complete stop. Compare Toyota Camry and Honda Accord Safety Features to see which sedan offers the best package for Avon drivers. There’s also fantastic driver aid technology on the Toyota Camry. The Toyota Safety Sense™ P (TSS-P) system is standard. It brings together features like the pre-collision system with pedestrian detection and dynamic radar with cruise control. Both of these use a camera to detect objects in your path and can adjust your speed or even bring the car to a complete stop. The lane departure alert with steering assist lets you know if you’ve started to drift out of your lane and can help steer you back to the right path. There’s also blind spot monitoring with rear cross traffic alerts so you’ll be able to tell when its clear to safely change lanes. 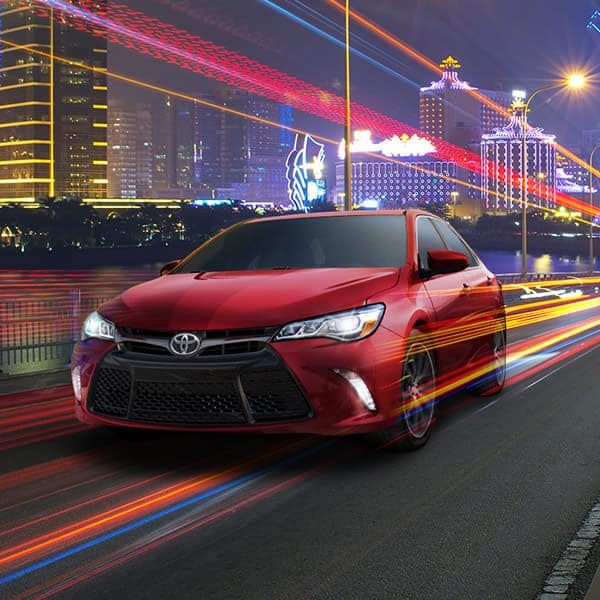 When you’re considering a midsize sedan for your family to explore near Indianapolis, Avon, and Plainfield, we hope that this review of the Toyota Camry safety ratings has illustrated how safe you’ll be in a Camry. Come over to Andy Mohr Toyota to test drive this great family car today.